Jakarta (VNA) - Indonesia and the US on April 3 announced three new marine conservation zones in North Maluku to celebrate 70 years of diplomatic relations between the two countries, specifically in the marine and fishery sector. US Ambassador to Indonesia Joseph R. Donovan Jr said Indonesia's marine resources are the most unique in the world. Protecting the biological diversity and improving Indonesia's precious marine natural resources are the success in the bilateral partnership in the course of several decades, he said. The unified efforts remain crucial for sustainable earning, given their resources, and for the welfare of the current and future generations, the ambassador stressed. The three new marine conservation zones cover 226,000 hectares in North Maluku. 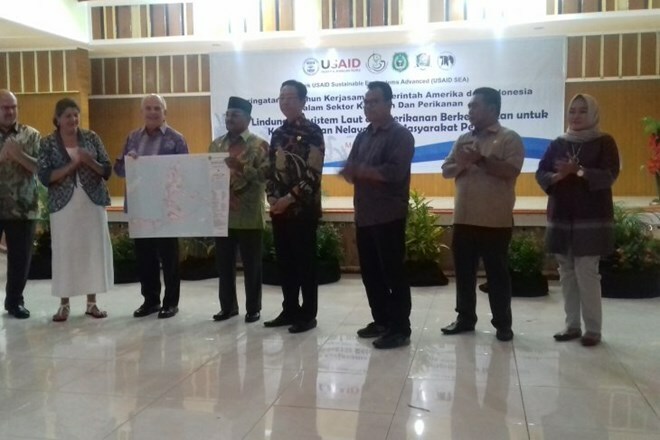 The US Agency for International Development (USAID) and the Indonesian Ministry of Maritime Affairs and Fishery have jointly implemented the Sustained Ecosystems Advanced (SEA) project to boost fishery production and reinforce food resilience in the provinces of North Maluku, Maluku and West Papua.